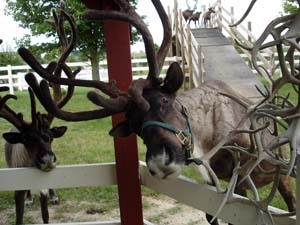 Hardy's Reindeer Ranch is a unique and fun tour destination in Central Illinois. The ranch is an unusual and unique attraction that features a herd of authenic Alaskan reindeer ready for you to have an upclose encounter. 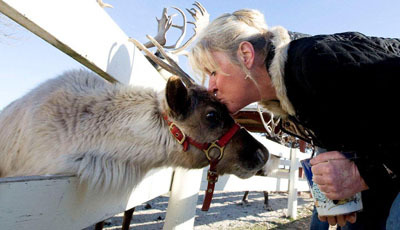 Hardy's Reindeer Ranch plays host to visitors from all across the nation and many countries. 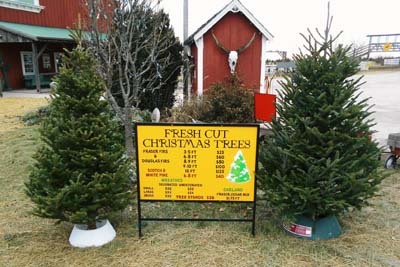 The rebuilt and restored 100 year old barns and 5,000 Christmas trees combine to form a beautiful setting for families, individuals and groups to get away from the ordinary and hurried pace of city life. Hardy's Reindeer Ranch provides a great escape where you can enjoy a very special day in the country. 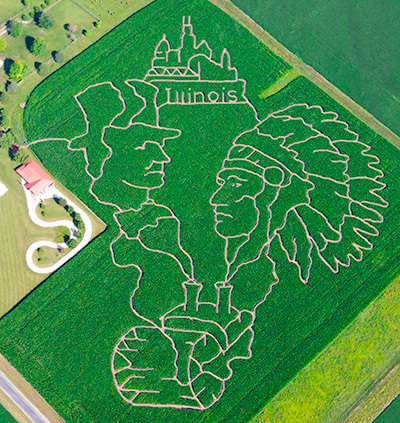 Here's our famous Fall Corn Maze for 2018, celebrating Illinois Bicentennial! For added excitement, try the "Moonlight Madness" by navigating the maze at night with only a flashlight and the light of the moon. Please call for hours. Good luck! 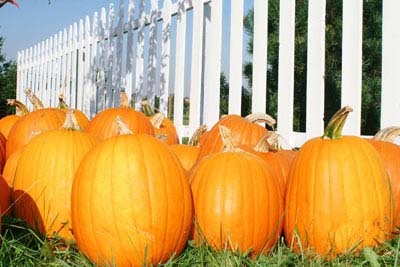 Attractions include the amazing Jack Splat Pumpkin Cannon, a challenging Paint Ball Gallery, exciting Pedal Race Rars, Hay Rides, Reindeer Tours, Cook Outs by reservation, weekend concessions and more.